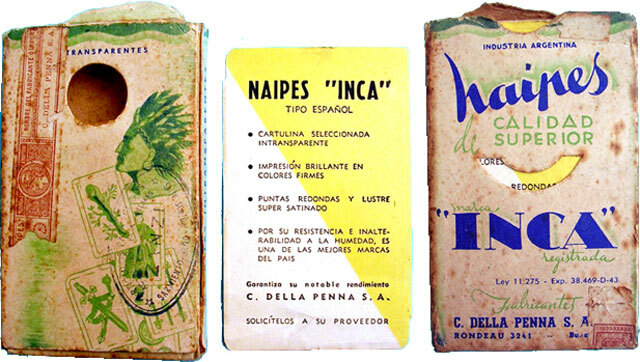 Naipes Inca was one of Della Penna's leading brands of Spanish-suited playing cards, and was produced in successive editions until the company was taken over in 1978. In the example shown here, the company name on the four of cups is given as Della Penna S.A., without the initial "C" although on the wrapper, box or extra cards it is written in full, with the intital "C". It is not known why this change came about, or how long it lasted, but soon afterwards the initial "C" was reinstated on the logo on the four of cups. Also at around this time, an extra leaf appeared on the ace of clubs. 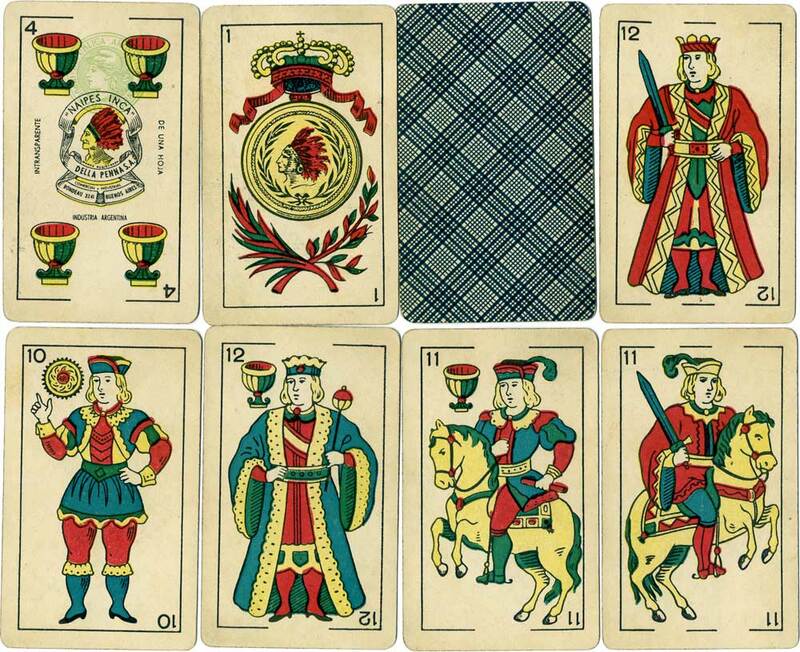 Above: cards from Naipes Inca by Della Penna S.A., c.1965, with the green "Marianne" tax stamp on the four of cups, which was used in the period c.1953-1968. 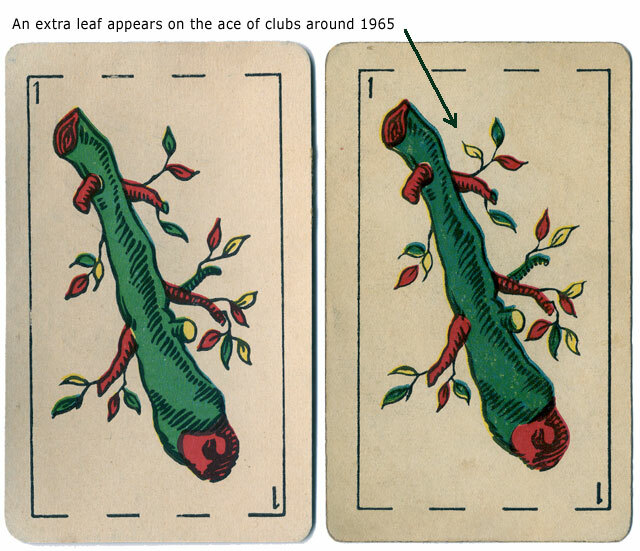 Also at around this time, an extra leaf appeared on the ace of clubs. 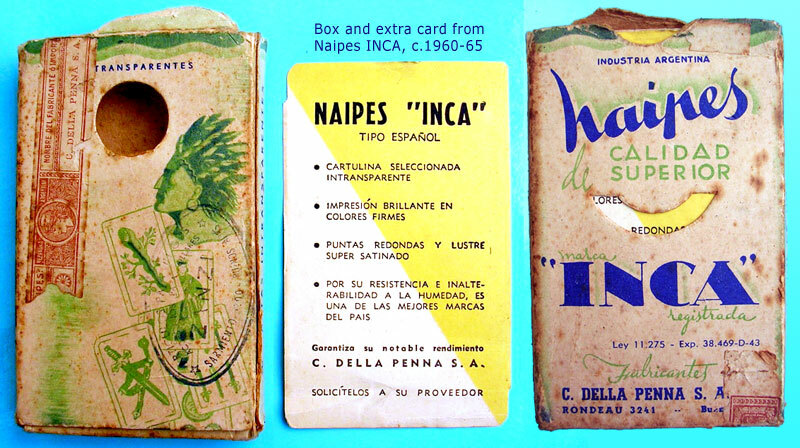 Below: box and extra card from another example of Naipes Inca from this period, showing the 5 Pesos brown tax band around the box, which was used during the period 1965-67.